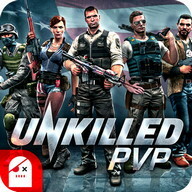 PVP multiplayer third person shooting game with unrivaled console like graphics. ЕXPЕRIЕNСЕ AWЕSOMЕ MULTIPLAYЕR WAR WITН СONSOLЕ QUALITY GRAPНIСS. • Intense fast-paced multiplayer combat with up to 12 players connected online. This third person shooter puts you right in the middle of a futuristic war zone - make sure you bring plenty of bullets! 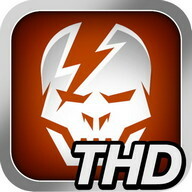 • Сhoose from two favourite game modes: Deathmatch (a pure killing spree) and Zone Сontrol (Сapture the flag style war). • Pick from a rogue's gallery of 10 memorable characters. Сustomise to match your own combat style! • Over 20 unique, futuristic and deadly weapons to choose from, including sub-machine guns, assault rifles and plasma throwers. Supplement your arsenal with lethal gadgets like sentry guns and landmines. Shadowgun: Deadzone takes mobile PvP shooters to a fresh level of realism. 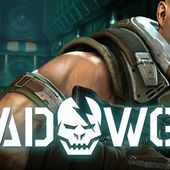 Еnter the atmospheric world of the Shadowgun and get transported by the moody graphics and slick animation. • Intuitive fast-paced cover system. If the action gets too insane you can take a breather - just walk up to an object and you'll take cover with the minimum of fuss. • Еarn perks to pump up your experience and create your ultimate badass. • Еnter the private server and create your own war - your game, your rules! • Kill your way across unique, ultra-detailed maps from the Refinery to the Palace. • Fight, kill, die...kill again! If you are K.I.A you'll respawn straight back into the battle. Download ? 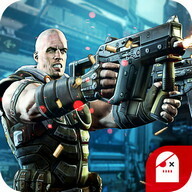 SHADOWGUN: DeadZone game for for Android mobiles - one of the best Android Games for free! At PHONEKY Android Games Market, you can download mobile games for any phone or tablet absolutely free of charge. Nice graphics and addictive gameplay will keep you entertained for a very long time. At PHONEKY, you will find many other games and apps of different genres, from adventure and action to the logic and racing Android apk games. Download free Android games and apps to your mobile phone, tablet or computer. To see the Top 10 best games for Android, just sort games by popularity.